Being a member of SHARES Radio & Electronics Society is a great way to support our work and keep up-to-date with our latest meetings. It also allows you the opportunity to join a community of like-minded people who also want to support and build the club to the next level. As a club member you will also have access to our training and educational courses, (fees apply), for both the amateur licences and Legacy Electronics Valve Course. 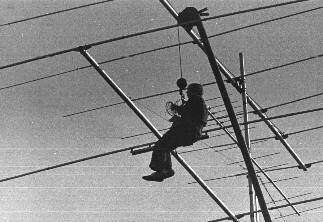 SHARES remains the only club of its type in the area, its current members have an extensive range of skillsets and a wide range of interests within radio and electronics. You can get involved and show your support by becoming a member of SHARES. Come along to one of our monthly meetings, details here, or contact us and we can quickly sign you up as a full member. Membership is a minimum of £30 a year; however, most people support our work by giving more where they can, often by donating surplus equipment for our club auctions and rallies which we attend several times a year. We meet at the Coffee Bar, 1st floor, Surbiton Hill Methodist Church, 39 Ewell Road, Surbiton, KT6 6AF. Access is via the recessed left hand entrance which has a ramp. Free parking is available at either side of the church on a first come basis.